I don’t think there are enough words to express how impressed I was with your knowledge and compassion throughout my procedure. I was nervous the whole way here on the plane but the minute I met Katie, Betty and Ana in person they completely put me at ease. I had an extended tummy tuck with Dr.Torres, He excluded all of my expetations. I was not expecting such thoroughness. I would never have gotten it in the states. He treats you like a work of ART and makes you completely comfortable while doing so. 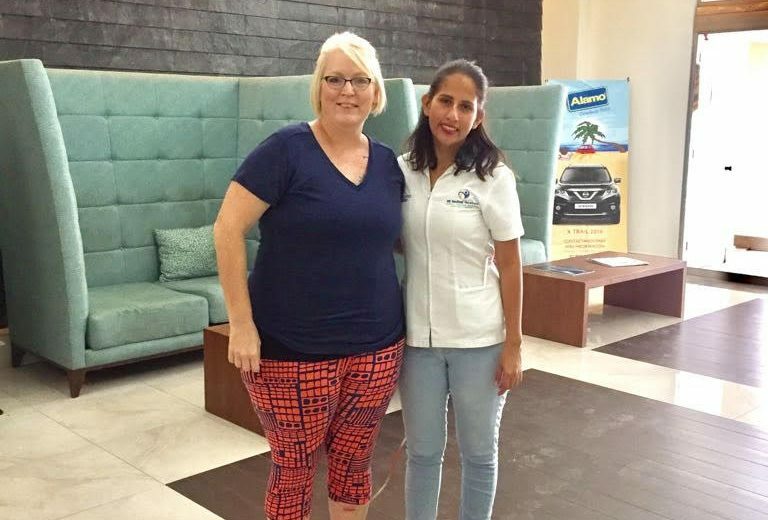 Everyone was very attentative to all of our needs, from Katie answering all my many questions so patiently to Betty who was so kind and helpful with the language barrier and to Ana who took such good care of me and was so sweet. 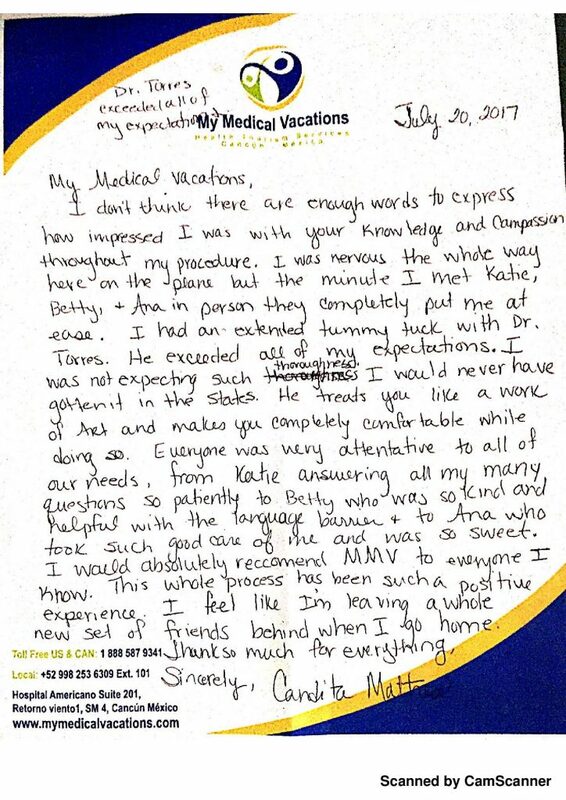 I would absolutely recommend MMV to everyone I know this whole process has been such a positive experience I feel like I´m learning a whole new set of friends behind when I go home. Thank so much for everything.